Minn Post examines snackification trends from Minnesota food companies including the launch of Hormel® Natural Choice® snacks from Hormel Foods. Salty snacks alone now constitute a $28 billion-a-year industry in the United States. In fact, snacking has never been more popular: 91 percent of consumers are now snacking several times in a day, as the sit-down, three-meals-a-day tradition continues to wane, according to Bellevue, Wash.-based Hartman Group. Its research also found that 22 percent of people reported in 2016 that they were snacking more often than they did five years ago. Austin-based Hormel Foods Corp. is known for Spam and its large portfolio of meat products. Hormel does not have a category for snacks in its annual sales figures. Yet. But in July, the company introduced four flavors of a new snack product: Natural Choice. 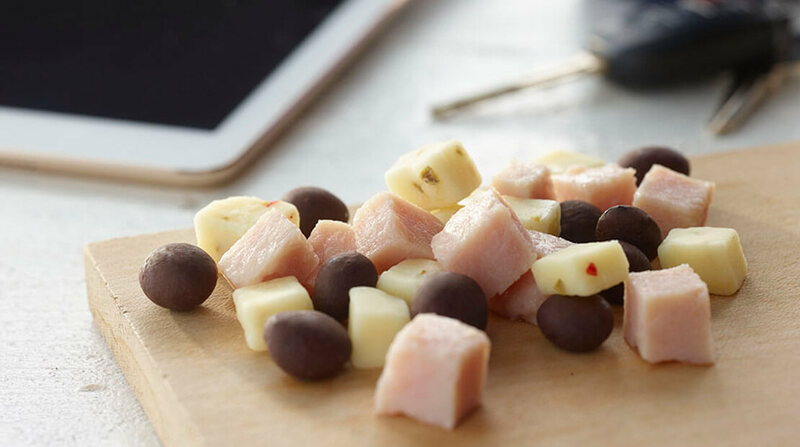 The new line of snacks combines deli meat, cheese and chocolate. One offering, for example. combines turkey, cheddar cheese and pretzels covered in dark chocolate. The company’s current snack portfolio includes products like Skippy® P.B. bites, Hormel® Natural Choice® snacks, Muscle Milk® protein products, Hormel® REV® wraps and Wholly Guacamole® minis.